Congratulations to Rang Niamh, TY English class, on getting through to the next stage of the National Dairy Councils Milk It Awards. The girls and their teacher, Ms McKenna are working very hard to continue their campaign. They are holding a 'Dairy Day' on February 14th. Like and share their Facebook page 'Dairy Days'. And remember Dairy Days are the best days of your life!" 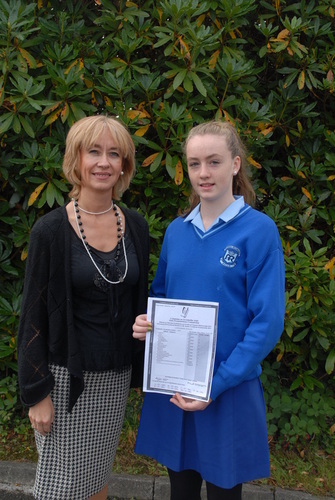 Head Girl, Kellie Cunniffe & Deputy Head Girl, Eadaoin O'Reilly. Physics & Chemistry senior students from Fifth Year visited Trinity College to see the 'Apples & Atoms' sculpture dedicated to Ireland's Nobel Laureate ETS Walton en route to hear a lecture by Prof Jim Al Khalili entitled Paradox - The Nine Greatest Enigmas In Science in Royal College of Surgeons. Complements of Intel Ireland Eureka TY students spent a morning in Trinity. They were given 'A Day in the Life' career path talk from people who had chosen science careers. Afterwards they visited the'Grow Your Own' science exhibition in the Science Gallery and went to view the newly erected sculpture 'Apples & Atoms' dedicated to Ireland's only Nobel Laureate in Physics, ETS Walton. 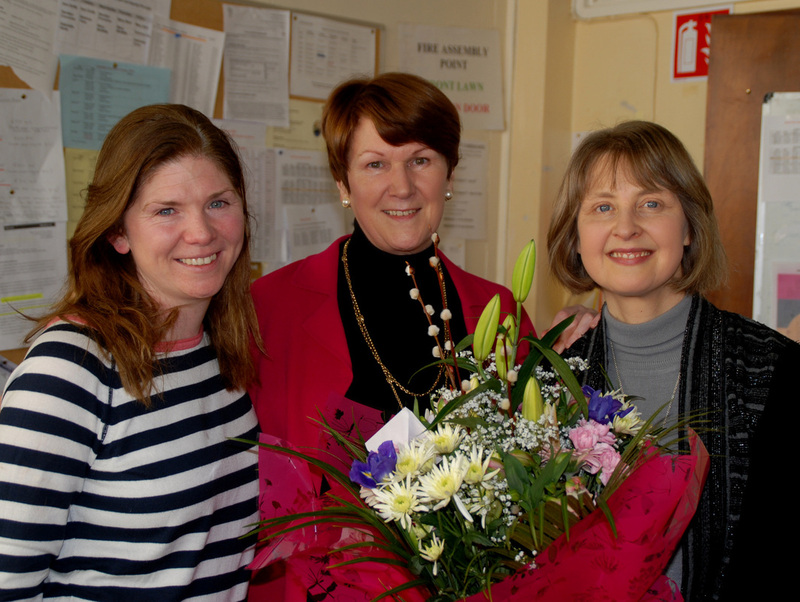 They were accompanied by Ms Byrne & Ms Mullaghy. 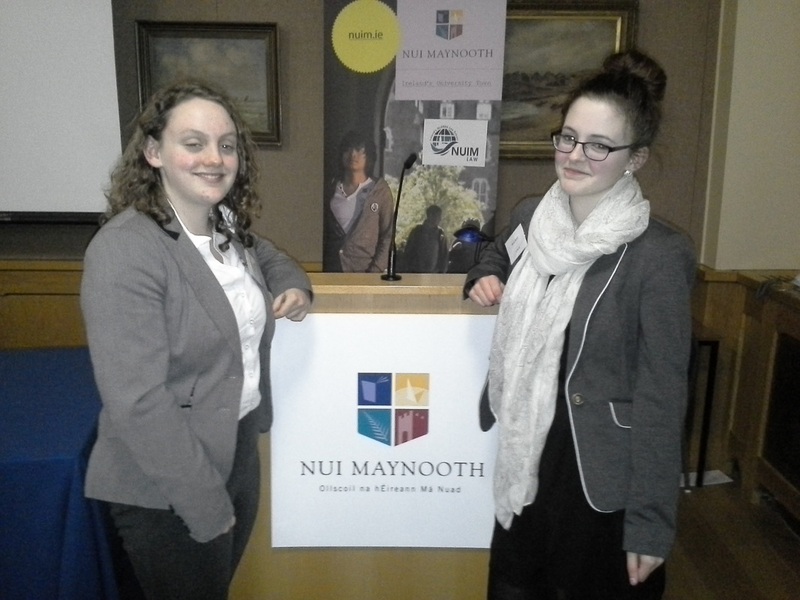 Well done to Kate Abell and Emma Meegan on taking part in NUI Maynooth Mock Parliament on Friday 21st Feb. The two girls were the first students from Eureka to participate in the event and were worthy representatives. This year a Transition Year group of students are working on a Young Social Innovation project ‘Gender Equality in Sport’. On Saturday the 8th of March the girls attended the Ladies Ireland V Italy rugby match in the Aviva Stadium to support their project and to raise awareness about this issue. Teacher: Ms Cronin. Ms Pauline Grenham takes early retirement. Having spent all her teaching career in Eureka she was a pioneer in many aspects of education. An outstanding teacher, she set up RSE in the school and Eureka was one of the first in the country to introduce this programme. She also set up Healthy Eating and the Mentor and Prefect system. A big advocate of the 'silent majority', she was and still is a great friend to all and will be missed by many. "May you never be isolated but know the embrace Of your Anam Cara!"